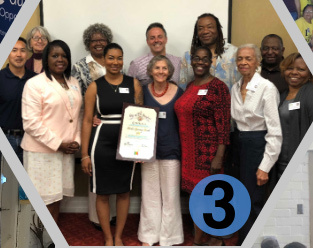 The Harbor Gateway North Neighborhood Council held the 2018-2019 Board Retreat on Saturday, June 9, 2018. 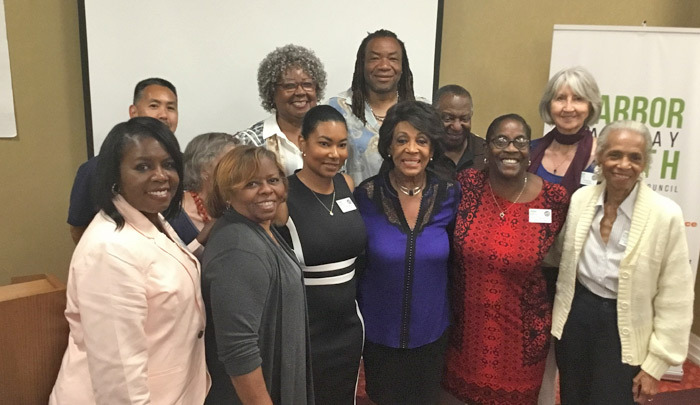 Guest speakers and presenters included Congresswoman Maxine Waters, Councilman Joe Buscaino, Human Relations and Economic Development specialist Gary Delarosa, Chair Pamela Thornton, Treasurer Joan Jacobs, Outreach Coordinator Saira Cooper, and Octaviano Rios, Neighborhood Council Advocate. Each speaker spoke about values, requests, offers, opportunities, ideas, posed challenges and more. The day long Board Retreat serves as the planning meeting to discuss and vote on the Action Plan for the 2018-2019. The Board Term began 7/1/2018 through 6/30/2019.